As a Manager, Sponsor, Salesforce Admin, or Power User, you know and see that User Adoption is one of the biggest hurdles to overcome. When it comes to implementing Salesforce, we share four common hurdles and solutions to overcome them to put you on the path to Salesforce User Success. User Adoption increases customer retention rates, employee job satisfaction and fulfillment, creates more effective day-to-day business practices, and more. 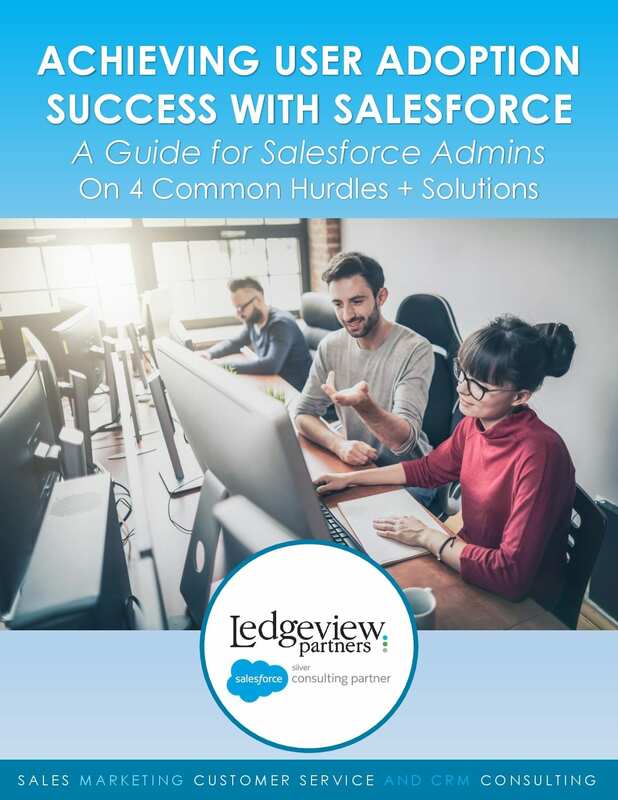 Salesforce Customers will find the solutions they’ve been looking for in Ledgeview’s latest eBook. Get top insight when you submit your information below. Before we share top Salesforce User Adoption Hurdles + Solutions with you, please provide a little information about yourself first. Learn More About Ledgeview's CRM Consulting Services!